Our research involves an interdisciplinary approach using molecular genetics, biochemistry, cell biology, and structural biology to understand the pathogenesis of opportunistic Gram-negative bacteria at the molecular and cellular levels. Burkholderia cenocepacia, Pseudomonas aeruginosa, Enterobacter and Achromobacter species, are the primary model organisms we use in different aspects of our research program. Opportunistic infections pose a significant threat to human health, especially to those patients who benefit most from advancements in the treatment of genetic diseases, cancer, and organ transplantation, but who become immunosuppressed. Burkholderia cepacia complex bacteria (Bcc) and Burkholderia cenocepacia in particular, as well as Achromobacter and Enterobacter species are our main model organisms to study the pathogenicity of opportunistic bacteria. Bcc bacteria and Achromobacter are a major health risk for children and young adults with genetic conditions like cystic fibrosis and chronic granulomatous disease. These patients commonly suffer from lung and airways infections by these microorganisms, which are very difficult to treat given the extraordinary resistance of these bacteria to clinically useful antimicrobials. Therefore, through out research we hope to find novel ways to prevent or ameliorate the effect of these infections in susceptible patients. Enteric bacteria such as Enterobacter species are important opportunisitic multi drug resistant pathogens in the hospital setting. Lipopolysaccharide (LPS) is a complex glycolipid molecule located on the surface of Gram negative bacteria that is also a critical structural component of the bacterial outer membrane. Bacteria with defects in the LPS molecule are more sensitive to a variety of antibiotics and they can be easily killed by host defensive mechanisms such as the serum complement and antimicrobial peptides. Therefore, by understanding how the LPS is made and assembled on the bacterial cell surface we hope to design inhibitors that will interfere with this process, which may be useful as novel antimicrobials. Also, we are looking at ways to alter LPS biosynthesis at various levels to increase the overall permeability of the outer membrane to antibiotics and antimicrobial peptides. How LPS components are synthesized? What are the mechanistic bases of the translocation of O-antigen LPS biosynthesis intermediates across the plasma membrane? How Bcc bacteria can survive the attack of antimicrobial cationic peptides and other antibiotics? How does intracellular B. cenocepacia delay phagosome maturation and phagosomal acidification? What is the role of a novel type 6 secretion system in B. cenocepacia intracellular survival? How does intracellular B. cenocepacia affect the assembly of the macrophage NADPH oxidase? How does B. cenocepacia adapt to various environments including macrophage and epithelial cells? What are the roles of stress regulators in intracellular survival and in bacterial survival in the rat model of chronic lung infection? How do bacterial antioxidant mechanisms protect essential bacterial metabolic pathways that are deemed to be critical for adaptation to different environments, including the lung and airways? Appropriate genetic tools are not always available for our specific research needs. Therefore, we place special effort in developing new tools and reagents or modifying those available to our own needs. In particular, our lab has contributed novel molecular tools to handle Bcc bacteria. Nominated to the Postgraduate Supervisory Excellence Award, The Graduate School, Queen's University Belfast, 2018. Awarded Postgraduate Supervisory Excellence Award, The Graduate School, Queen's University Belfast, 2017. Adjunct Professor, Centre for Bioinformatics and Integrative Biology, Faculty of Biological Sciences, Universidad Andres Bello, Chile, 2016. Research contributions listed in the "51 Firsts (http://www.uwo.ca/research/51_firsts/), University of Western Ontario, 2015. Zeller Senior Scientist Award, in recognition to outstanding contributions to Cystic Fibrosis Canada as an established investigator. 2011. Tier I Canada Research Chair in Infectious Diseases and Microbial Pathogenesis. 2009-2016 (resigned in 2012 to take Chair at Queen's University). CSM/Roche Award, Canadian Society of Microbiologists, given to outstanding Canadian microbiologists. Honour's Degree for Academic Excellence, School of Medicine, University of Buenos Aires (Academic Cumulative Average of 91.5 %). G. Parau, BSc Biomedical Sciences, QUB, PhD student, 2017-20. M. NaGuib, MSc (Alexandria University, Egypt), PhD Student, 2015-18. F. Bisaro, PhD Student, 2015-18. D. Storey, PhD Student, 2016-19. H. Carrasco, PhD Student, 2014-18. J. Torres-Bustos, Research Assistant, QUB, 2012-16. K. Nurse, Research Technician, UWO, 2010-15. W. Cladman, Research Technician, UWO, 2010. A. Roa-Rosales, Research Technician, UWO, 2008-09. C. James, PhD, Research Technician, UWO, 2008. J. Lehrer, MSc Research Technician, UWO, 2006. D. Stoykova, Research Technician, UWO, 2005-06. S. Loutet, Research Technician, UWO, 2003-04. K. Vigeant, Research Technician, UWO, 2003-04. L. Santamaria, Research Technician, UWO, 2003. J. Vicarioli, Research Technician, UWO, 2002-03. L. Dafoe, Research Technician, UWO, 1989-96. C.L. Marolda, Biochemist, Research Associate, UWO, 1988-10. S-Q. An, Postdoctoral Research Associate, 2017-18. Present position:Research Fellow, University of Southampton, UK. O. El-Halfawy, MSc (Alexandria University, Egypt), PhD, Postdoctoral Fellow, 2014-15. C. Mujica, PhD (University Andres Bello, Chile), Postdoctoral Research Assistant, 2011-15. G. Pradenas, PhD (Univ. of Santiago de Chile, Chile), Postdoctoral Research Assistant, 2013-15. K. Patel, PhD (University of Western Ontario), Postdoctoral Research Assistant, 2012-14. A. Hanuszkiewicz, PhD (University of Borstel, Germany), Postdoctoral Research Assistant, QUB, 2009-14. F. Tavares, PhD (University of Mexico), 2012-15. A. Andrade, PhD (University of Mexico), 2011-15. Present position:AssistantProfessor, Monterrey, Mexico. X. Ruan, PhD (Tsinghua University), 2008-14. C. Schmerk, PhD (University of Victoria), Supported by a Fellowship from Cystic Fibrosis Canada. 2010-14. D. Aubert, PhD (University of Paris), Supported by a Fellowship from CIHR. 2005-13. 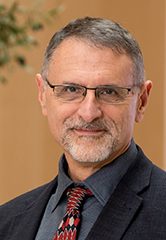 M. Hamad, Ph.D (University of Nebraska), 2008-13. R. Rosales-Reyes, PhD (University of Mexico), 2009-12. Present position:Professor, Universidad Autónoma de Mexico. S. Loutet, PhD (University of Western Ontario), Supported by a Fellowship from CIHR. 2010-11. X. Ortega-Alonso, PhD (University of Chile), 2002-08. Present position: Professor, University Andrés Bello, Viña del Mar, Chile. J. Perez-Donoso, PhD (University of Santiago, Chile), 2007-08. Present position: Associate Professor, Universidad Andres Bello, Chile. Karen Keith, PhD (Imperial College, U.K), 2004-08; Supported by a Fellowship from the Canadian Cystic Fibrosis Foundation. S. Cardona, PhD (University of Chile), Supported by a Fellowship from the Canadian Cystic Fibrosis Foundation. 2002-06. Present position: Associate Professor, Department of Microbiology, University of Manitoba. L. Tatar, PhD (University of Missouri at Kansas City), 2002-06. Present position: Teaching Instructor, Dalhousie University, Halifax, Nova Scotia. M. Lefebre, PhD (UWO), 2004. C. Fehlner-Gardiner, PhD (University of Western Ontario), 1998-2000. Supported by a Fellowship from the Canadian Cystic Fibrosis Foundation. Present position: Research Scientist, Animal Diseases Research Institute, Canadian Food Inspection Agency, Ottawa. F-S. Wang, PhD (Pennsylvania State University), 1997-99. M. Handelsman, PhD (University of Guelph), 1990-92. Supported by a Postdoctoral Fellowship from the Ontario Ministry of Health. A. Ford, PhD Student, 2013-16. Y. Fathy, MSc (Alexandria University, Egypt), PhD Student, 2013-16. M. Khodai-Kalaki, MSc (UWO), 2011-15. S. Furlong, B.Sc. (UWO), 2008-13 -. Supported by OGSST and OGS awards. A. Valderrey, Visiting PhD student (Department of Microbiology II, Universidad Complutense de Madrid, Spain), Apr-Jul 2012. J. Tolman, B.Sc. (Carlton), 2006-11. Supported by NSERC and CCFF awards; M&I entrance Award winner. K. Patel, B.Sc. (University of Waterloo), 2005-10. Supported by OGSST award. M. Al Zayer, MSc (Texas), 2010-11. S. Loutet, B.Sc. (University of British Columbia), 2004-10. Supported by NSERC award; M&I entrance Award winner. A. Hoare, Biochemist (University of Chile), (co-supervised with Dr. I. Contreras), 2006-10. D. Bravo, Biochemist (University of Chile), (co-supervised with Dr. I. Contreras), 2006-09. K. Maloney, B.Sc. (UWO), 2002-08; Supported by CCFF award. R. Flannagan, MSc (UWO), 2003-07. Supported by OGSST and CCFF award; M&I entrance Award winner; 2006 John A. Thomas Award winner. J. Lamothe, B.Sc. (Laval University), 2002-07. Supported by CCFF and CIHR doctoral Canada Graduate Award; Present position: Supervisor Microbiology, Zimmer Dental, San Diego, California. F. McArthur, MSc (Mt. Allison University), 2000-05. Supported by OGSST award; Present position: Laboratory Group Leader - Microbiology, Durham Regional Environmental Laboratory, Ontario. S. Saldías, Biochemist (University of Chile), (co-supervised with Dr. I. Contreras) 2001-04. M. Lefebre, B.Sc. (UWO), 1998-04. Supported by NSERC PGSA and CIHR Doctoral awards; nominated for the Collip Medal Award, Stephen D. Poland Award winner. T. A. Hunt, MSc (University of Calgary), 2000-03. Supported by CCFF award; Present position: Assistant Professor, Kansas Medical School, Kansas City. A. Amer, MD, MSc (Cairo University), PhD Student, 1997-02. Supported by OGS Award. Present position: Associate Professor, Division of Pulmonary, Allergy, Critical Care & Sleep Medicine, Ohio State University, Columbus, Ohio. J. S. Brooke, MSc (UWO), 1992-96. Supported by OGS and NSERC awards. Award winner: Graduate Student Award, Canadian Society of Microbiologists, 1995. Present position: Associate Professor, Department of Biology, DePaul University at Chicago. J. A. Thomas, D.V.M. (University of Guelph), 1990-94. Award winner: Graduate Student Award, Canadian Society of Microbiologists, 1992; Supported by an OGS Award. Deceased December 1993. M. Gilmore, MSci Biochemistry, School of Biological Sciences, QUB, 2017-18. A. Sterling, MRes Translational Medicine, School of Medicine, Dentistry and Biomedical Sciences, QUB, 2017-18. S. Keenan, MRes Translational Medicine, School of Medicine, Dentistry and Biomedical Sciences, QUB, 2016-17. S. Paterson, MSci Biochemistry, School of Biological Sciences, QUB, 2016-17. D. Guerreiro, (University of Lisbon), MSc Student 2015-16. S. O'Brien, MRes Translational Medicine, School of Medicine, Dentistry and Biomedical Sciences, QUB, 2013-14. S. Chakravarty, MRes in Translational Medicine, School of Medicine, Dentistry and Biomedical Sciences, QUB, 2013-14. S. Lamothe, B.Sc. (UWO), MSc Student, 2011-13. H. Ostapka, B.Sc. (UWO), MSc Student, 2010-13. C. Clarke, B.Sc. (Guelph), MSc Student, 2009-11. A. Skeldon, B.Sc. (Toronto), MSc Student, 2008-10. Supported by a CIHR award. D. Hynes, B.Sc. (Queen’s), MSc Student, 2007-09. Supported by a CCFF award. R. Newman, B.Sc. (UWO), MSc Student, 2007-09. J. Haggerty, B.Sc. (UWO), MSc Student, 2006-08. M&I entrance Award winner. M. McGarry, B.Sc. (University of Western Ontario), MSc student, 2004-07. Supported by an OGS award. P. Lahiry, B.Sc. (University of Waterloo), MSc student, 2005-06. Supported by a CIHR Canada Graduate award. J. Lehrer, B.Sc. (Concordia University), MSc student, 2003-05. K. Vigeant, B.Sc. (University of Guelph), MSc student, 2001-03. R. Flannagan, B.Sc. (UWO), MSc student (co-supervised with Dr. S. F. Koval), 2000-02-. Supported by an NSERC PGSA award. R. Payne, B.Sc. (University of Southern California), MSc student, 1999-02. L. Singh (Saini), B.Sc. (University of Guelph), MSc Student, 1996-99. J. Gaspar, B.Sc. (University of Waterloo), MSc Student, 1994-97. M. Grattan, B.Sc. (UWO), MSc Student (Co-supervised with A. Ridgway), 1991-92. S. Tsui, PhD student, University of Sao Paulo, Brazil, May-Dec, 2018. M. Hamad, Assistant Professor, UAE, Jun-Aug, 2018. A. Isawumi, PhD student, WACCBIP, University of Ghana, Jan-Jul 2018. S. Tokajian, Associate Professor, Lebanon American University, May-Aug 2017. J. Ramos Vivas, Researcher, IDIVAL, Santander, Spain, Sep 2016. E. Perrin, PhD (University of Florence), Visiting Fellow (FEMS Award), 2015. L. Kalferstova, Visiting PhD Student, Prague, Sep-Nov, 2014. R. Dennehy, (Institute of Technology, Tallaght, Dublin), Visiting Student, Oct-Nov 2012. M. Alati, Visiting MSc (Department of Biotechnology, University of Milano-Biccoca), Sep-Dec 2011. A. Valderrey, Visiting PhD student (Department of Microbiology II, Universidad Complutense de Madrid, Spain), Jan-Apr 2011. E. Lameignere, PhD (Université Joseph Fourier, Grenoble, France), Visiting PhD student, 2007. S. Sarnacki, B.Sc. (University of Buenos Aires), Visiting PhD student, 2005-06. S. Alvarez, PhD, Lecturer (University of Chile), Visiting Fellow, 2005. M. Novoa-Garrido, visiting PhD Student, Norwegian Veterinary College, Feb 2004/Feb 2005.Present position: Researcher, BioForsk Nord, Bodø, Norway. M. Feldman, B.Sc. (Institute of Biochemistry, Fundación Campomar, Argentina). Visiting PhD student, May-July, 1997/Aug-Sep,1998. Present position: Associate Professor, Department of Molecular Microbiology, Washington University, St. Louis, USA. M. Bittner, B.Sc. (Faculty of Chemical and Pharmaceutical Sciences, University of Chile). Visiting student, October-December 1997. M.I. Fernández, Clinical Microbiologist, Visiting Fellow (Instituto Argentino del Diagnóstico, Buenos Aires, Argentina, 1997. A. Bouchet (Institut Gustave-Roussy, Villejuif, France) Visiting PhD Student, January-May 1993. Z. Yao, MSc (University of Beijing), Visiting Fellow 1991-93. A. Thariath, MSc (Chemistry, University of Waterloo), Visiting PhD student, June-August 1991. Present position:Director of Product Development, Cytovax Biotechnologies, Inc., Edmonton, AB. V. Peña Blanque, Universidad Complutense de Madrid (Erasmus), Feb-Sep 2016; B. Bathabure, Universidad Andres Bello, Chile, Apr-Jul 2016; A. Zurita-Guisado, Universidad Complutense de Madrid (Erasmus), Feb-Aug 2015; W-C Soon, University of Singapore, Mar-Jun 2015; L. Daille, MSc, University Andres Bello, Chile, Nov 2012 - Feb 2013; L. Albarnez, University of Valparaiso, Chile, May 2010-Sep 2011; X. Fernandez, University of Chile, Jan 2011-March 2011. QUB: L. Glaser, 2017-18; J. Allen, 2017-18; M. Herdman, 2017-18; S. Carson, 2016-17; N. Thompson, 2015-16; C. Brown, 2015-16; K. Dadswell, 2014; C. Doherty, 2014; B. Kevin (Intercalated Medical Student, Wolfson Award), 2013; L. Burns (Intercalated Medical Student), 2013; C. Connolly, 2013. UWO: S. Kim, 2013; A. Zandvakili, 2010-11; K. MacDonald, 2008-09; A. Jiwani, 2008-09; L. Mussen, 2007-08; S. Furlong, 2007-08; M. Lung, 2006-07; R., Wu, 2005-06; A. Polichuk, 2005-06; E. Haggerty, 2005-06; J. Tolman, Carleton University, 2005; A. Petersen, 2004-05; D. VanLeewen, 2004-05; J. Gagliardi, 2002-03; K. Maloney, 2001-02; J. Olenick, 2000-01; E. Dunn, 2000-01; T. Hopkins, 1999-00 (Governor's General Medal); S-L. Chang, 1999-00; J. Stephens, 1999-00 (co-supervised with Dr. E. Cairns; T. Chappell, 1998-99; M. Lefebre, 1997-98; S. Hota, 1997-98; P. Hanifi, 1996-97; M. Glaskin-Clay, 1995-96; S. Valiquet, 1995-96 (Gold Medal Award Winner; NSERC Studentship Award); S. MacMillan, 1994-95; W. Kalair, 1994-95; D. Alexander, 1993-94 (Gold Medal Award Winner; MRC Studentship Award); J. Cruthers, 1992-93; J. Welsh, 1989-90 (Honors in Biology); B. Lott, 1989-90; J. Jordan, 1988-89. C. Mueller, 2002; T. L. Simon, 1997; N. Hunter, 1995; S. Valiquet, 1995. L. Glaser (2017); N. Osborne (2015); J. French (2015); S. O'Sullivan, Biochemical Society Summer Vacation Studentship (2014); E. Kavanagh, CII Summer Research Scholarship (2014); R. Medialdea (2013); J. Thompson (2013); C. Connolly (2013); Kilian Schütt (2013); R. Joseph, NSERC summer studentship (2011); S. Hu, NSERC summer studentship (2010); S. Hu, Canadian Cystic Fibrosis Foundation summer studentship (2009); M. Yang (2008); B. Li, NSERC summer studentship (2007); B. Li, NSERC summer studentship (2006); M. Lung, NSERC summer studentship (2006); L. Killip, Canadian Cystic Fibrosis Foundation summer studentship (2006); C. Bates, Canadian Cystic Fibrosis Foundation summer studentship (2006); M. Lung, NSERC summer studentship (2005); J. Tolman, NSERC summer studentship (2005); R. Wu (2005); A. Balachandran (2004); D. Wehlam, Canadian Cystic Fibrosis Foundation summer studentship (2003); C. Bhat, NSERC summer studentship (2003); C. de Lasa (2003); C. Mueller, NSERC summer studentship (2001-2002); V. Soo, Hargreaves summer studentship award (2000); K. McGibney, NSERC summer studentship (2000); A. Milos, NSERC Summer studentship (1999); J. Wiggins (1999); H. Georgiou (1999); S. Hota (1996; 1997); P. Hanifi, Canadian Cystic Fibrosis Foundation summer studentship (1996); S. Valiquet, Canadian Cystic Fibrosis summer studentship (1995); M. Gajewski, Meds '97 Summer Res. Training Program (1994/1995); T. Kappos, Meds '92 Summer Res. Training Program (1989/1990); J. Welsh (1989). A. Foley, Our Lady and St. Patrick's College, Knock, Nov 2017; C. Fernandez-Llamera, Methodist College Belfast, Jul 1-29, 2016; P. Magee, Tonbridge School, Kent, England, Jun 27-29, 2016; C. Belchamber, London Central High School (2011); C. Yang, Lucas High School, Bronze Medal in the International Science Fair representing Canada (2008), $200,000 scholarship in 2010 to attend Cambridge University, UK; M. O'Reilly (1998); D. Malpage (1997); J. McIntyre (1996); M. O’Neill (1995); K. Vallas (1993); N. Moon (1992); M. Clark (1991); M. Korvamaker (1990); M. McIntosh (1989).